This guest post comes to us from Daniel Dibner, one of the masterminds (or shoudl we say angels?!?) behind “Hay Trolley Heaven.” To learn more, visit www.haytrolleyheaven.com! “The Heart of the Barn” is what hay unloaders or hay trolleys have come to be called for well over a 100 years. I am sure that the readers of the Barn Alliance are quite familiar with these iron wonders, as many still are found directly overhead in the older barns. 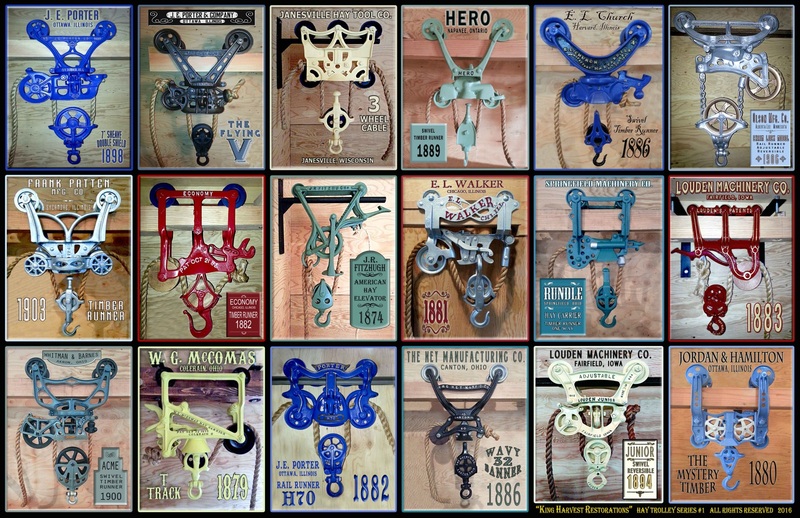 These remarkable pieces of early barn equipment greatly influenced the majority of the barn designs that we see from the 1870’s to around 1930. 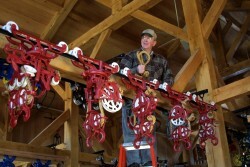 If one was a practitioner of “modern” farm techniques, one built their barn from plans provided by one of the many manufacturers of trolleys. 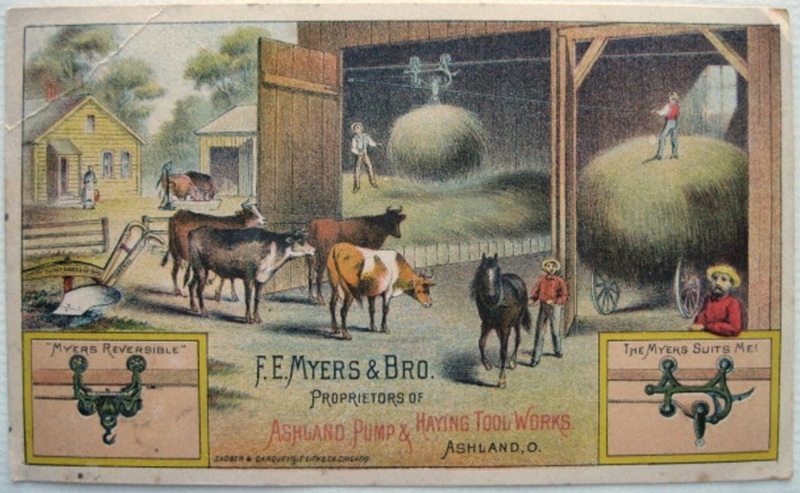 Prominent manufacturers included the likes of F. E. Myers, J. E. Porter, Louden, Ney and Hunt, Helm & Ferris, all providing (in many cases free of charge) the architectural plans needed to build the period’s most efficient means of moving hay and other crops around, namely the hay trolley. Farmers either built for timber or steel track systems or were left to lift tons of material into the mow by hand. This was all loose hay technology and it all essentially ends with roll-up baling. Fewer people are aware that even before barns were built to store the mow, hay trolleys were hard at work in the fields. Systems of cables were strung up and America’s countryside was the home to massive hay stacks that were unmatched in size. Trolleys finally were brought into use in barns as modifications were made to move huge amounts of hay within the structures. How the hay wagons approached the barn, at the end or center, made a great deal of difference in the overall design of these iron wonders. We here at HAYTROLLEYHEAVEN.COM are dedicated to the preservation, cataloging, collection and display of all things related to hay trolleys. When Danae Peckler of the Barn Alliance stumbled on to our website, she reached out to me to ask if our site could be mentioned in your newsletter. The answer was, of course, absolutely! You love barns, we love barns. Our world is an astonishing mix of what is unquestionably the start of something remarkable. 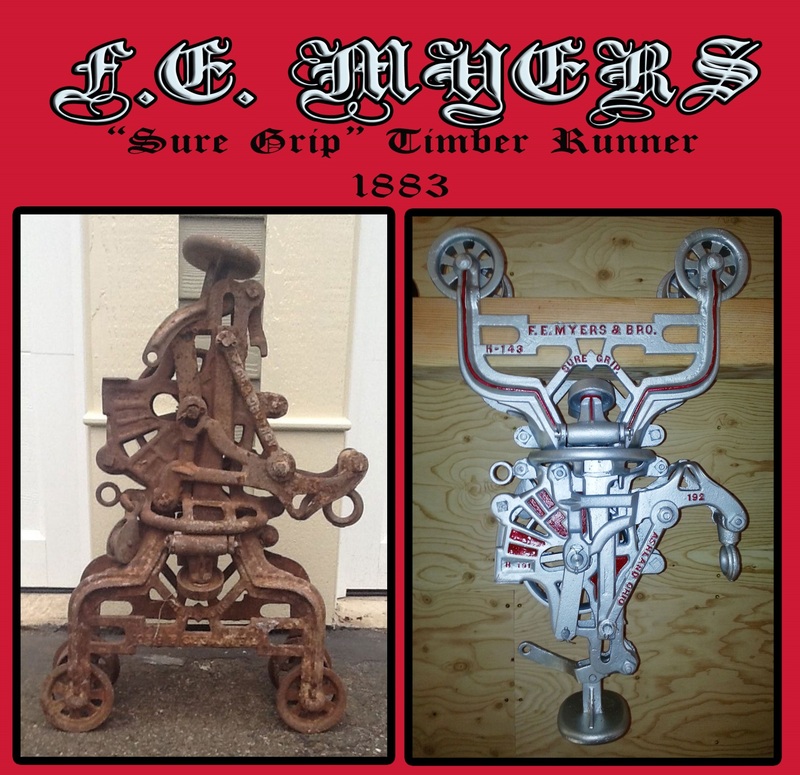 The amount of patents, from trolleys, to forks, to hay slings, to door rollers and much more, all comes from the ever present advancements made during the late 1880’s. All of this was to allow the American farmer to make the great leap forward through technology and efficiencies found in engineering and industry. 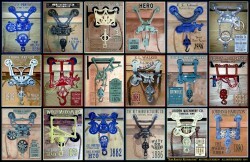 We believe that these devices represent some of the earliest programmable machines on the farm. 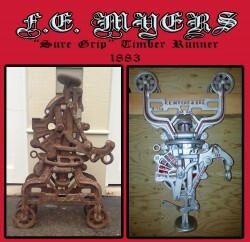 Special trips and stops directed these devices to hold or release on the track, drop their center drop pulley or retain them. 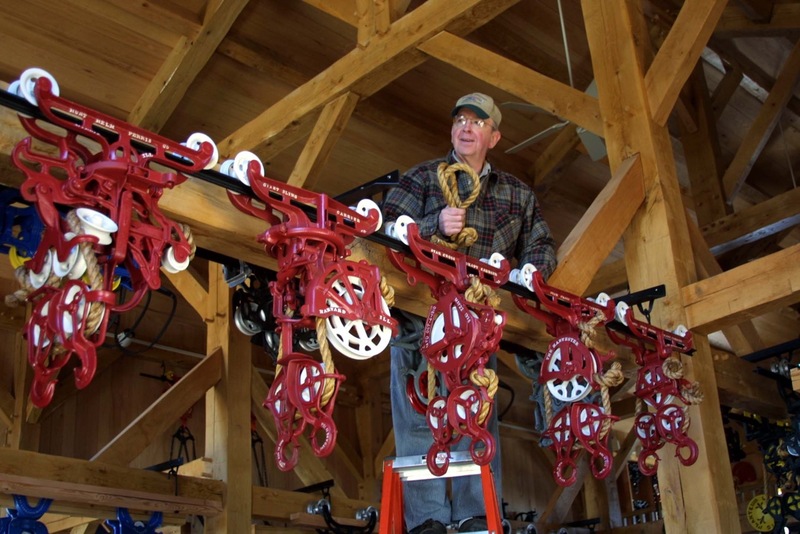 There were round barn systems, track switch arrangements and a whole host of lifting techniques that changed life on the farm forever. During the metal drives of World War I and II, much of the old metal was removed from the farm. But, as there were few patriots that would risk life and limb to climb up some 40 feet to bring down a 50 pound trolley all while balancing on then wooden ladders, they are there to be found. We at haytrolleyheaven.com discover new wonders almost every week. When you come to visit haytrolleyheaven.com you will see the largest cataloging of hay trolleys ever assembled online. The vast majority of Manufacturers, models, advertisements, patents, collection, etc. are presented for the members. There is an active forum that members participate in that gets questions answered, shares pictures of trolleys, restoration tips and a whole lot more. Start with the tabs on the homepage and work your way through the whole website. It is broad and deep and rich with information and data for the beginner to the expert. We have past editions of our own newsletter available online for downloading as well. We hope that you will take the time to determine if your barn restoration should include the “Heart of the Barn” if there is an indication that one existed there. With literally 100’s upon 100’s of models being attended to by our membership, we stand ready to assist as required. Contact us at “admin_1@haytrolleyheaven.com” (must have the “underline” between admin and 1) if you have problems creating log in credentials or have general questions.